To ensure our client’s currency needs, we have major foreign currency exchange services, international currency exchange in Mumbai, in all denominations. This helps clients in making easy transactions abroad throughout the globe without changing the currency again locally and searching local money changers or currency converters and loosing on exchange rates and the most important is time. Skyroutes can also assist you through the intricacies of foreign exchange & money transfer services through agents licensed by Reserve Bank of India as money changers. Our services cover almost all major currencies of the world- USD, AUD, Kuwaiti Dinars, Saudi Riyals, Euro, Yen, Canadian Dollars-just to mention a few. Want to sell, purchase or exchange lr, stp, egopay, payza then contact. Our tie ups with RBI Authorized money Exchangers fulfill the clients foreign exchange needs of travailing all the world. “Excellent Services , a real professional company , they delivered which they committed . Strongly recommended for Mobile Website and Mobile Apps . 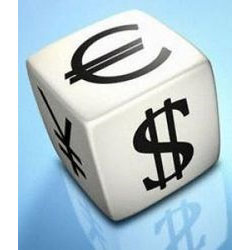 Forex Managed account is a style of forex account and an excellent mode of alternative investments that is designed for investors and traders wanting to have their funds traded and administered by skilled and certified money manager(s). Provinding all country forex services also. Foreign Exchange is the other most crucial travel requirement. As a one-stop solution to all travel needs, Jetchase also helps customers procure it. We stay abreast with international currency rates and regulations at all times and aim to get you the best deals. Travel tension free. Either you can carry traveler's cheque while on your holiday or can convert to the destination currency. Be whichever country you prefer travelling to, TravelPort will help you with best conversion for that day.